​ Carnival Vista arrived in New York City on November 3, 2016 for her official naming ceremony (see separate feature). 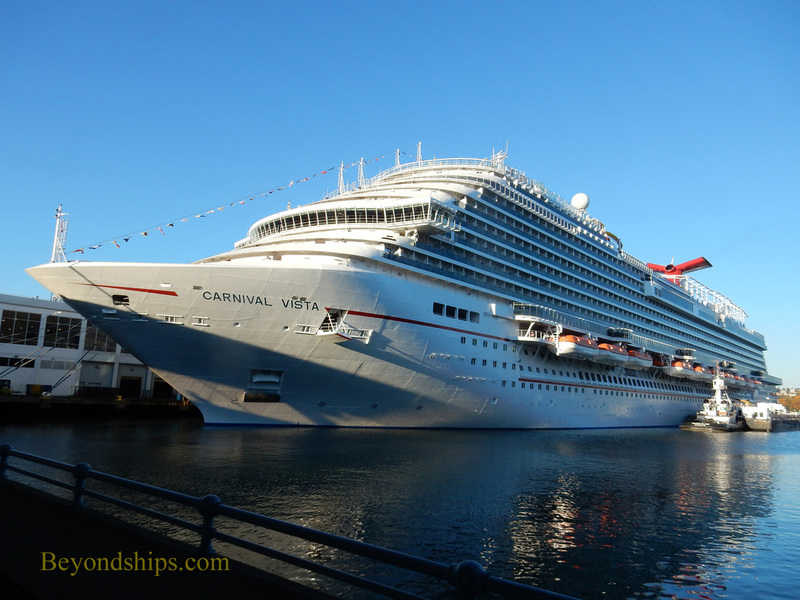 The next evening, Carnival Vista embarked on her first North American cruise. ​Above: Carnival Vista on the day of her naming ceremony. 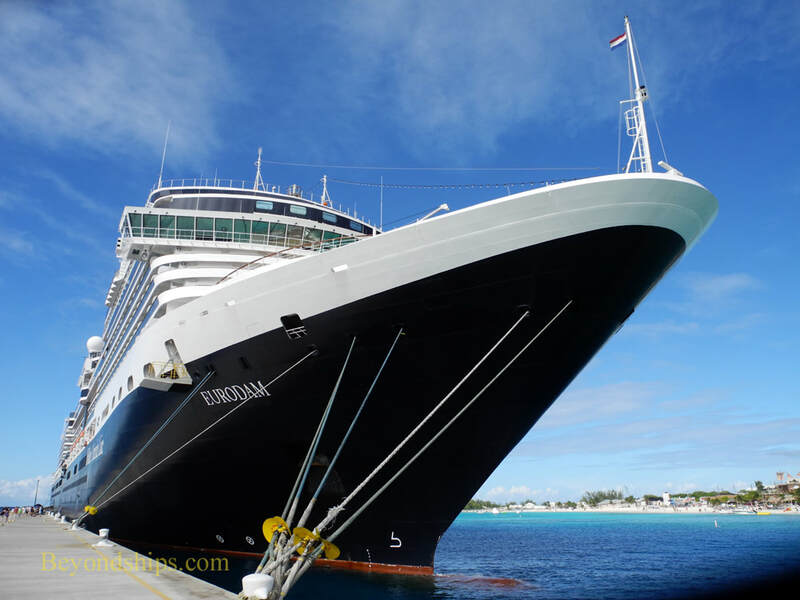 ​Right: The next morning Vista takes on fuel for her first North American cruise. 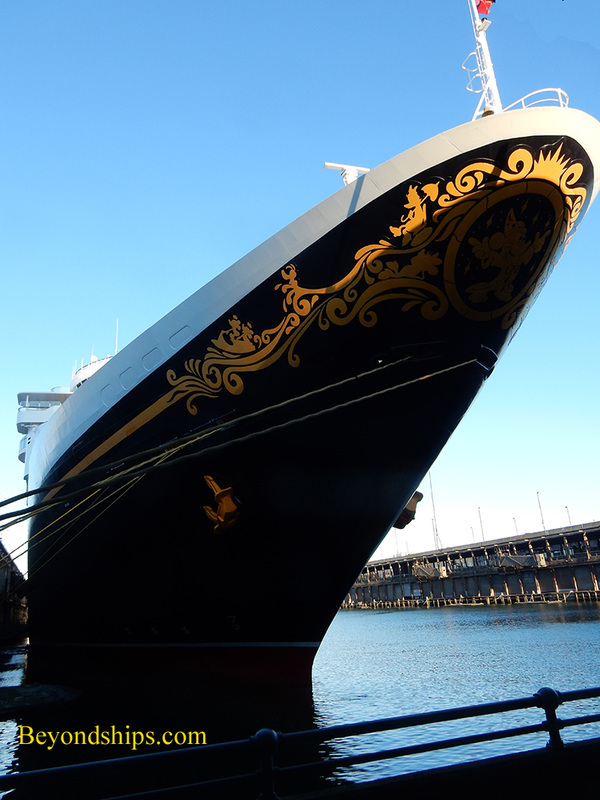 ​Below: Overnight, Carnival Vista was joined by Disney Magic. 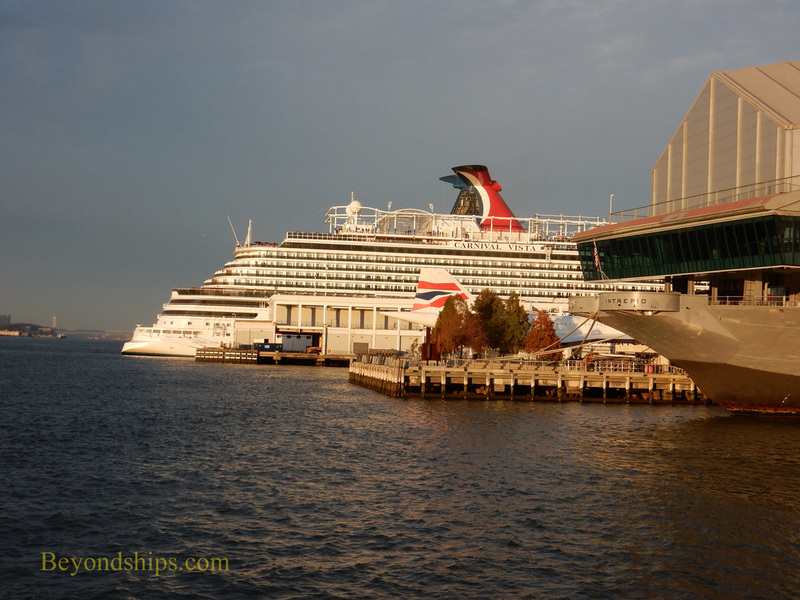 Carnival Vista remained at Pier 88 all afternoon. Disney Magic left, the Sun disappeared in a spectacular sunset. Still, Vista remained.